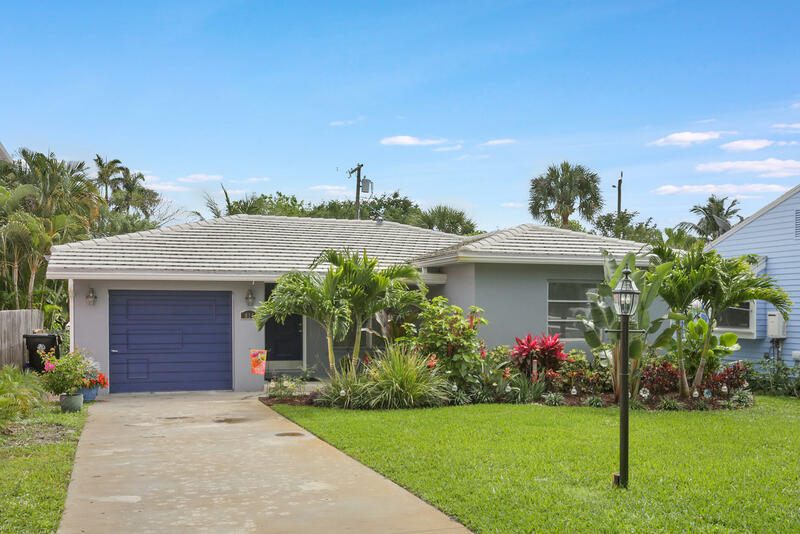 All South Palm Park homes currently listed for sale in Lake Worth as of 04/26/2019 are shown below. You can change the search criteria at any time by pressing the 'Change Search' button below. "This Lake Worth home has all of the Florida charm that you desire. As soon as you walk up to this home, you will see the love that the owners have given this home. There are beautiful new bamboo wood flooring throughout the home. There are major improvements which are appealing including a newer roof, a/c, new electric panel, new landscape in the front, new gutters, beautifully remodeled marble bathroom with jacuzzi tub , new lighting and so much more. The backyard is your own paradise with a beautiful pool. It is the best of your Florida lifestyle. You will love living in the sought after neighborhood of South Palm Park. You are minutes to great shopping, dining and entertainment and 1 block to the intra-coastal. This home is ideal to use year round, during the season or a rental."